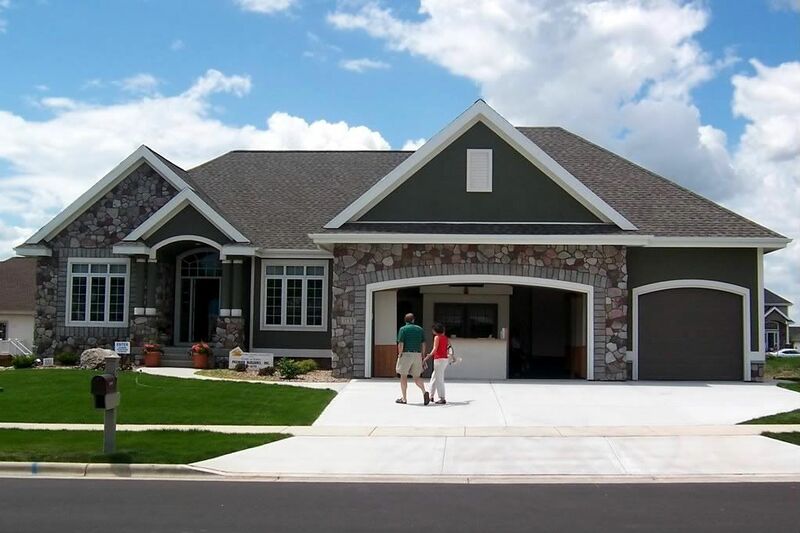 This 3,908 square feet 2008 Parade home was built by Premier Builders, and is located in the Southbridge neighborhood of Waunakee, WI. 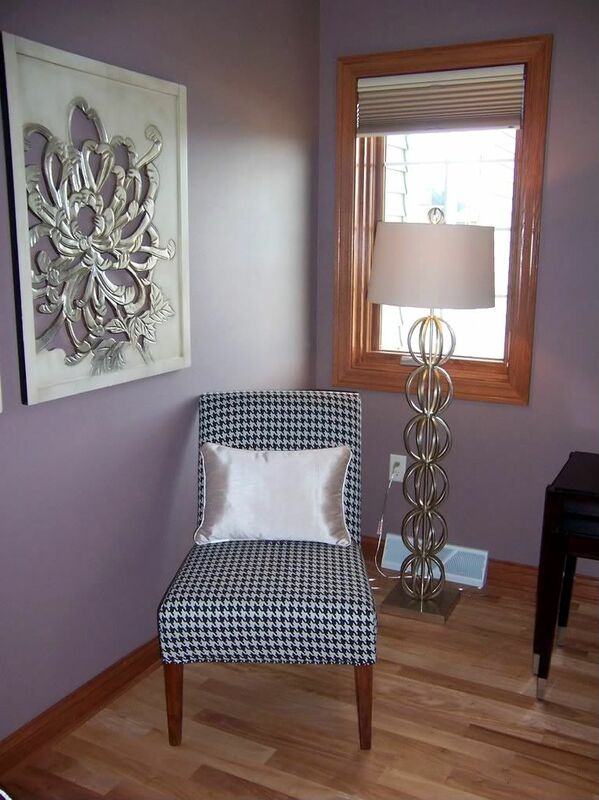 I liked the colors in this room–lavender, black, white, and silver. It reminded me of my friend Allison’s guest bedroom. I wanted to steal this black & white houndstooth chair! 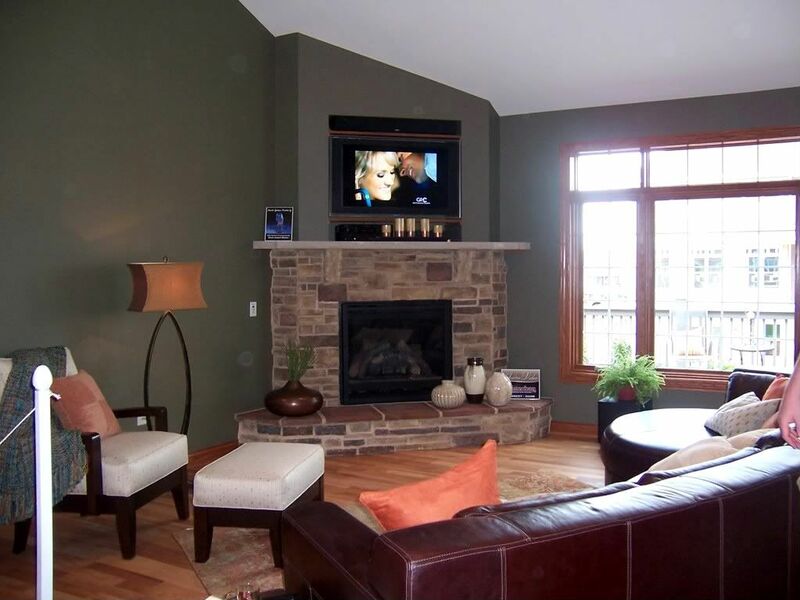 I love the fireplace and I also love the black and white flowered rug. 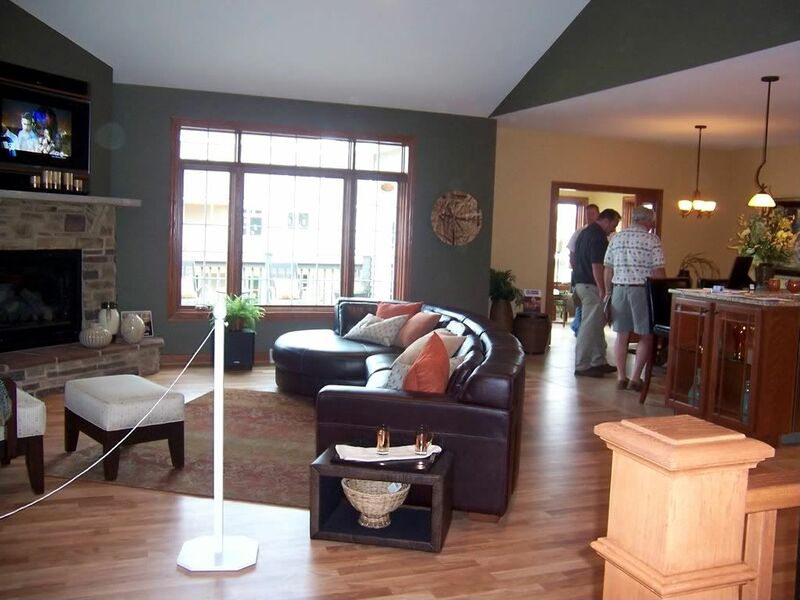 I love the open plan rooms. Very nice. Those colors are not something I’d ever pair together, but the execution of them is gaaaahgeous! @Amanda–I don’t have any other pictures of those art pieces close-up, but I do remember that they were metal. HTH! Beautiful — I love this house, all of it. I wish my guest room looked that good! Are you going to POH this year? 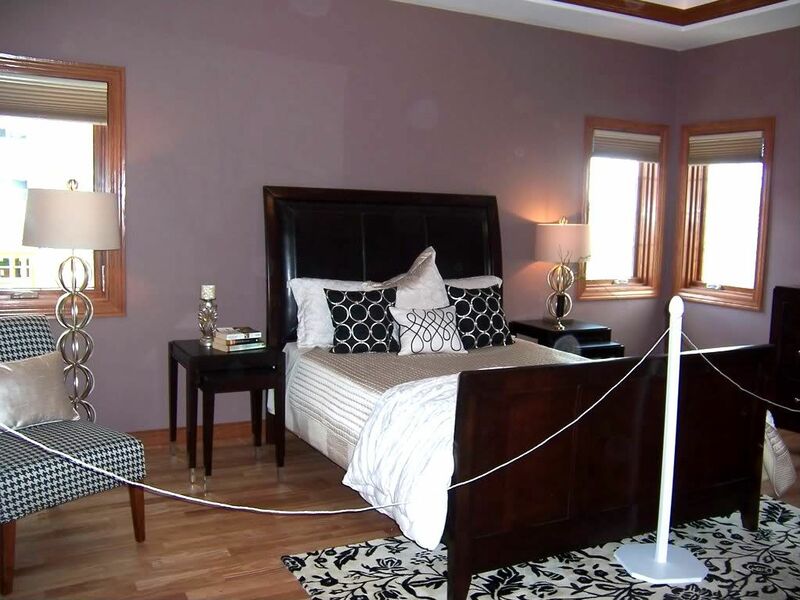 ohhh love the purple,silver and black room! 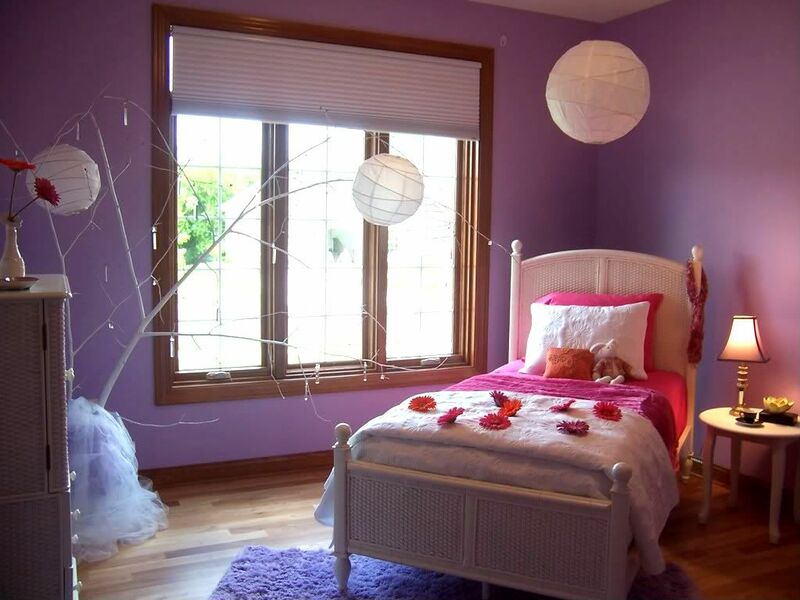 I saw the “Purple Bedrooms” title and I will admit I was all, “Oh geez. Really? PURPLE?” And that is when I got slapped upside the head by the SOPHISTICATED purple! I love it!